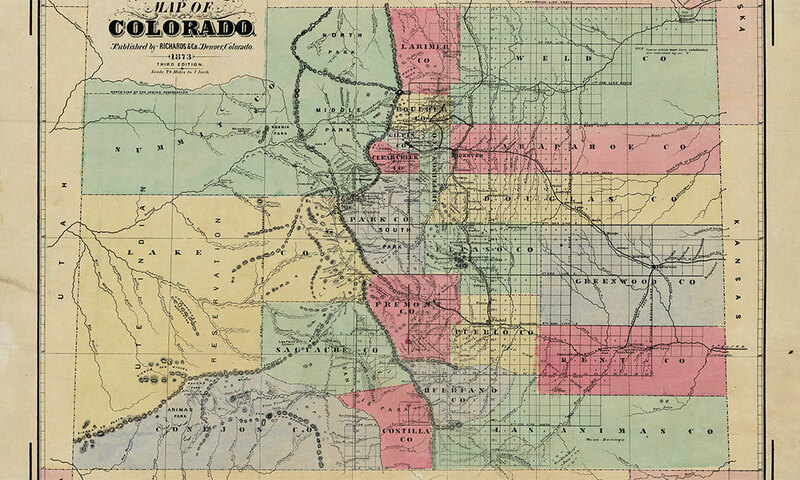 Like the California Gold Rush a decade before, Colorado’s Pikes Peak Gold Rush of 1859 propelled Colorado Territory to statehood and made the Rocky Mountain state the wealthiest and most influential state between Missouri and California. 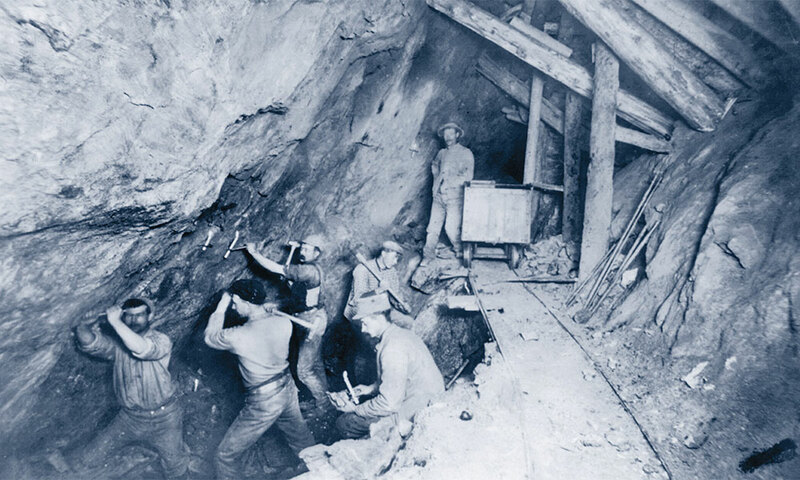 Most of us know of California’s Gold Rush and the forty-niners, but fewer realize the great wealth that began a decade later with the discovery of the mineral in Cherry Creek near present-day Denver with the fifty-niners. Today, visitors can follow the rich history of Colorado’s Gold Trail, beginning with Denver. An ideal jumping-off point is the Denver Museum of Nature and Science, with its Hall of Minerals where guests can see a replica of Sweet Home Mine, view the largest gold nugget found in the state and learn more about the area’s history of gold mining. 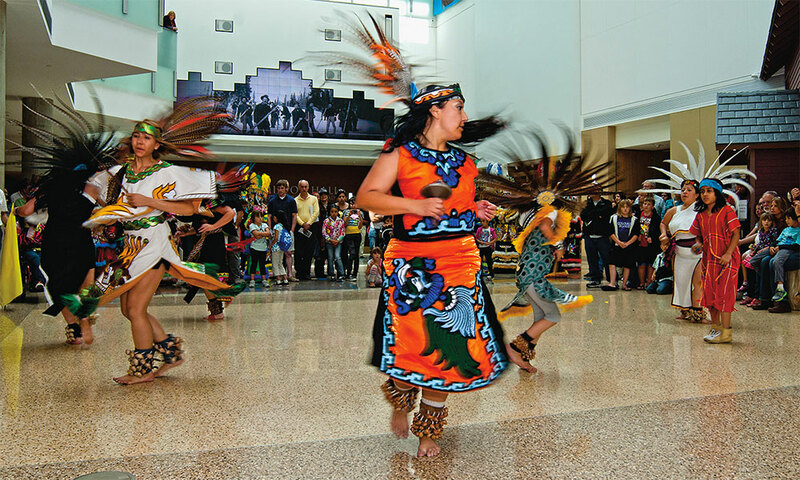 The History Colorado Center in Denver, an interactive museum for all ages, offers year-round events, live entertainment and insightful new exhibitions on the heritage of the Rocky Mountain state. 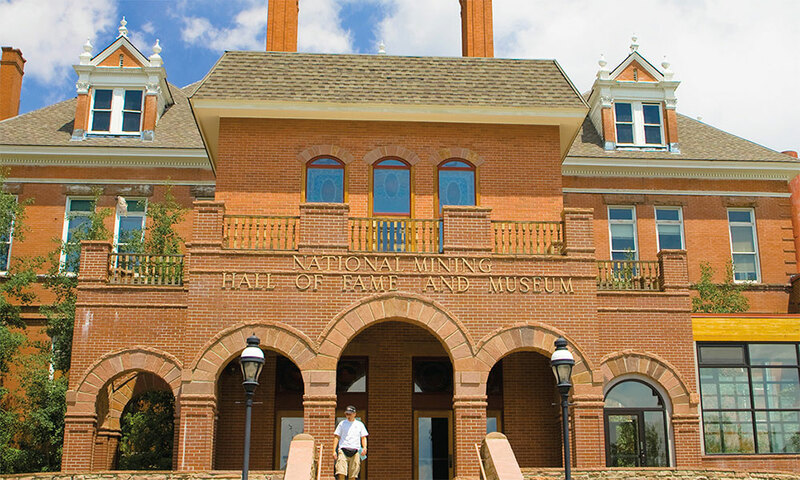 Another must-see in Denver is History Colorado Center, an award-winning interactive museum and cultural center that opened in the Golden Triangle district in 2012. 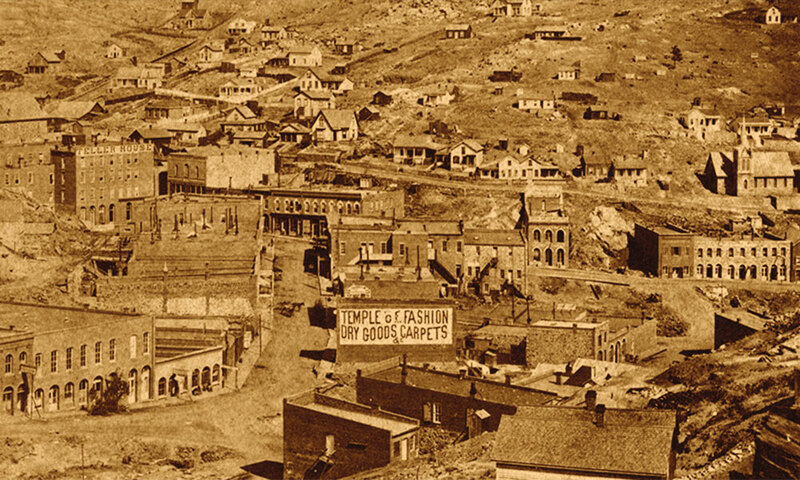 From Denver, head west on I-70 to Central City, once known as “The Richest Square Mile on Earth.” After the Gregory Lode was discovered in a gulch there in 1859, the town population swelled in two months to 10,000 hopeful folks. However, the gold easily found on and near the surface was quickly tapped out, and the less hardy among the new residents joined the throngs of so-called “go-backers.” Those who stayed on became part of a lucrative underground mining operation that continued for many years. Still worth visiting in Central City is the impressive Central City Opera House, built in 1878 and host to P.T. Barnum and Buffalo Bill, and now featuring musicals and performances. Many other buildings from this period survive. In 1859, gold was discovered in the area that would become Central City. Today, the mining town’s Gilpin County Mining Museum, Coeur d’Alene Mine Shaft House and Central City Opera House should not be missed before a night out in the historic district with its modern casinos. The Teller House, at 120 Eureka Street, was built in 1872 as a hotel, now a casino (in 1991 gambling was legalized, drawing modern fortune-hunters) and a BBQ restaurant, and is a must-do for those staying over. Nearby Idaho Springs, named for the hot springs, was the first named mining district in Colorado after George Andrew Jackson found gold in Clear Creek Canyon in 1859. Notable sites here include Argo Tunnel, started in 1893 and completed in 1910, which was for a while the longest tunnel in the world. The Argo Tunnel served all the local major mines and was over four miles long. Today the Argo Mill and Tunnel welcomes visitors, and offers tours of the tunnel, a chance to learn more about the history of the area and even to try panning for gold. Over a million dollars in gold was found in Idaho Springs, at $18 to $35 an ounce. 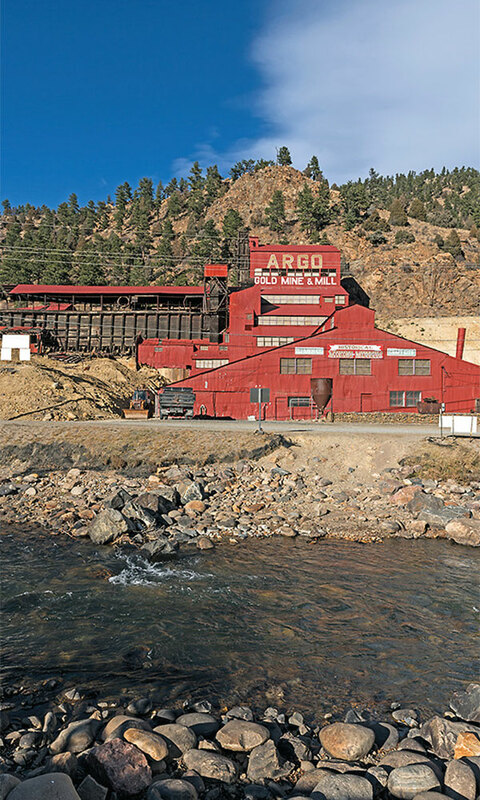 The Argo Mine in Idaho Springs processed over $100 million in gold in the mid-19th century. Today, the Argo Mine, Mill and Museum is open for tours, weather-permitting. For those wanting an authentic experience for an overnight stay, the Miners Pick Bed and Breakfast is in an 1895 home within walking distance of the town’s major sites and shopping. 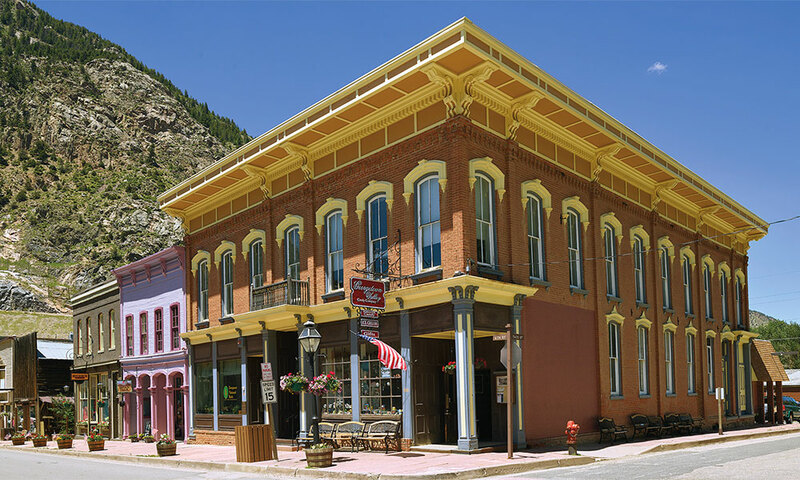 People flock to Idaho Springs today for the old-timey feeling shops and restaurants in authentic Old West buildings. A local fave is Beau Jo’s Pizza, for a fat slab of Colorado-style pizza made with dough sweetened with local honey. After a ride on the engineering wonder, the Georgetown Loop Railroad, take a walking tour of historic downtown Georgetown, founded in 1859 during the Pikes Peak Gold Rush. David and George Griffin discovered gold in Clear Creek’s headwaters in 1859 and named Georgetown for the Griffin brother named George. Later, Georgetown found real wealth from silver mining in the 1870s, and even became a premier tourist destination for well-to-do Europeans. Modern tourists can ride the Georgetown Loop narrow-gauge steam railroad that connects Georgetown and Silver Plume. For extra historical fun, check out the Lebanon and Everett Mine tours. From Georgetown, head 57 miles southwest to Leadville on I-70 to Colorado 91 South, where one can find more museums than in any other city in the state of Colorado. Leadville’s first gold claim was in 1860 in California Gulch, and the boom that followed in a few months sparked a population of 10,000 and gold scores of $2 million. But, like Georgetown, when the easily found gold waned, a discovery of silver started a brand new boom. When on tour of the historic silver city of Leadville, located at 10,151 feet, don’t miss a thrilling ride on the Leadville, Colorado and Southern Railroad, and a tour of the National Mining Museum and Hall of Fame. Leadville’s most famous resident was silver magnate Horace Tabor, who built the still-standing Tabor Opera House. Tabor started as a humble shopkeeper who amassed a fortune by grubstaking miners—outfitting them with goods from his store in exchange for a share of their finds. He went on to become a politician and builder, but a scandalous affair with “Baby Doe” Elizabeth McCourt and the silver crash left him penniless and his second wife ended up frozen to death in a cabin near their Matchless Mine, which can be toured either as a self-guided tour or with a guide. According to Colorado.gov, the city has 70 square blocks of Victorian architecture. Leadville’s population peaked in the early 1880s at 50,000, becoming a major industrial and modern city with its own sewer system and power plant. If spending the night, the Delaware Hotel dates from 1886 and cost $60,000 to build. 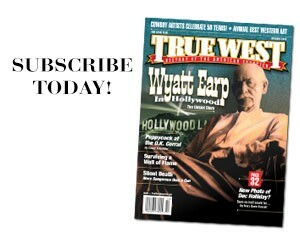 There, you can sleep where famous folks such as Butch Cassidy, Doc Holliday and the Unsinkable Molly Brown stayed. 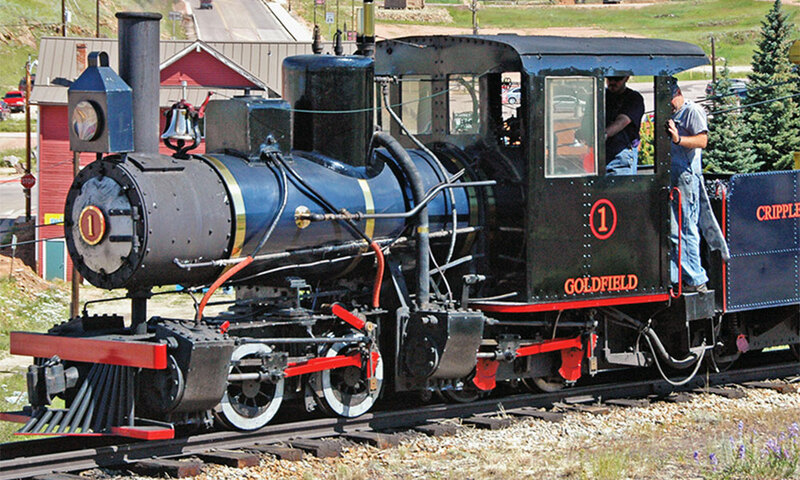 Today, visitors to the 1890 gold camp of Cripple Creek can enjoy strolling the city’s historic downtown and a four-mile round trip tour of the mining districts on the Cripple Creek & Victor Narrow Gauge Railroad. Following the Gold Trail about 112 miles southeast from Leadville in the Pikes Peak region is Cripple Creek, and its sister city of Victor. In 1890 cowboy Bob Womack discovered gold in what would later become known as Cripple Creek, Colorado. For the next 20 years that area produced over 22,400,000 ounces of gold, earning the region the nickname, “The World’s Greatest Gold Camp.” The worth of the gold found would equal $11.2 billion in today’s money. The last and most impressive of the gold booms in Colorado, the Pikes Peak region owes its riches in ore to volcanic eruptions some 35 million years ago. Cripple Creek blossomed and by 1892 the town had telephones, telegraph and electricity. Two years later, it had 150 mines operating, with a yield of $3 million in that year alone. The population was 6,000, and there were four newspapers, five churches and 300 prostitutes. By 1895, two railroad lines serviced the area. While two devastating fires destroyed much of the wood-built town within a week in April 1896, the area quickly rebuilt with brick and continued to prosper. By 1901, Cripple Creek had between 30,000 and 50,000 residents and 500 working mines, which had brought in $77 million in gold profits. It had two trolleys, 49 grocers and 68 saloons. It was the home of the richer folks, and the center of commerce, while nearby Victor was the working-class town of miners. Nowadays, people can visit the historic Mollie Kathleen Goldmine, named for the woman who struck gold in the area, and go down 1,000 feet into a historic mine. Other important sites include the Cripple Creek Heritage Center and the four-mile round trip on the Cripple Creek and Victor Narrow Gauge Railway and its 1894 depot and gift shop. The Old Homestead House Museum is one of the only brothel museums in the U.S., and was purportedly the most elegant brothel in town. It was built in 1896 by the (in)famous madam, Pearl DeVere. 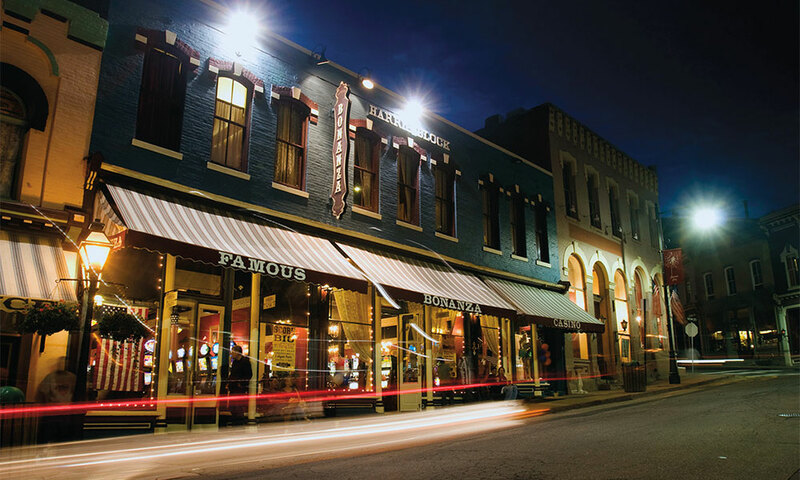 The town still has plenty of free-wandering donkeys who are descendents of those used in the mines in the old days, and the historic downtown now boasts nine casinos. For a tour of the area, visitors can hop aboard Colorado Jeep Tours for its six-hour Gold Belt Tour leaving out of Canon City and stopping in Victor and Cripple Creek, including a stopover for lunch. Katrina Wharton is a freelance writer from Colorado Springs, Colorado, where she enjoys travel, history and reading. She has a master’s degree in writing from Southern Illinois University-Edwardsville, and has worked as a tutor. She is mom to seven, stepmom to two and a grandma. 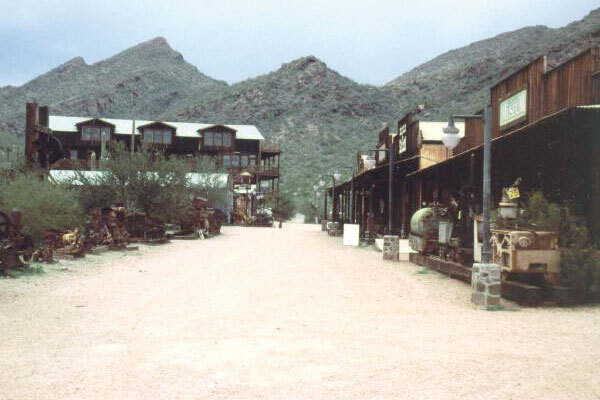 Wickenburg, Arizona A #4 True Western Town. 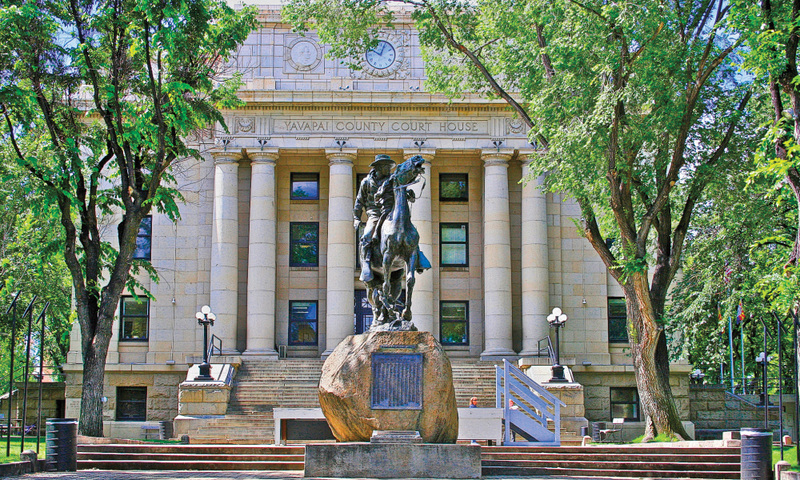 Mile-High Getaway History, heritage and a vibrant downtown welcome visitors to Prescott, Arizona. 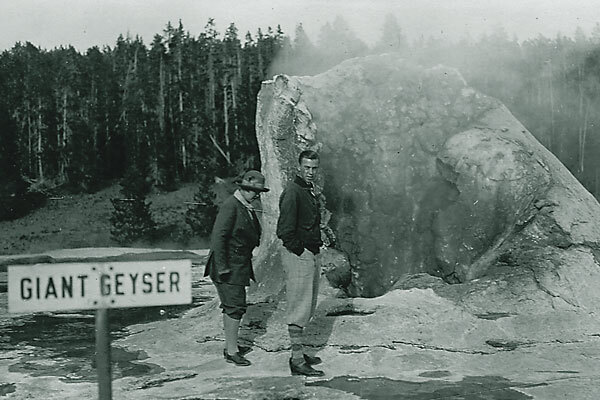 Trophy Hunting in Yellowstone Early tourists capture their memories of our nation's first national park.